Between Japan and other nations. Between this world and other worlds. You and I. Person to person. Hearts and minds. 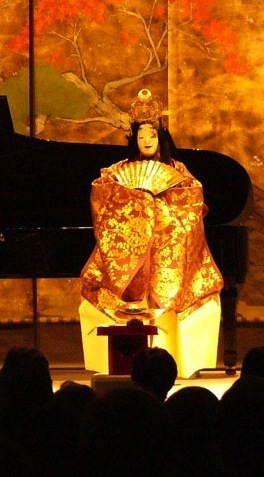 The ongoing tradition of ancient noh performance linked to the modern sound of jazz piano. A concert of artistic continuity and cultural connection. As part of the 125th Anniversary of the Consulate-General of Japan in Vancouver, the Consulate and TomoeArts will present a concert of traditional and innovative Japanese noh dance and music featuring internationally acclaimed noh actor YAMAI Tsunao, and renowned jazz pianist KIHARA Kentarô. These artists will be joined by other noh actors and a complete ensemble of noh musicians for an evening of traditional noh chant and dance in collaboration with contemporary jazz piano. Over 1400 years ago, the Komparu School of noh theatre existed in the ancient Japanese capital of Nara, and was performed as a ritual to bring about peace and happiness. Today, Yamao Tsunao maintains the Komparu Noh tradition, and uses the depth of practice to bring a level of strength and sophistication to new, innovative collaborations. In this concert, master artists will share the ancient tradition of noh ritual performance through tradition and innovation. Master noh performers will chant sections of Okina, a noh ritual of fertility and new beginnings; a full ensemble of noh musicians & actors will perform a section of Takasago, a play celebrating unity and good fortune; and YAMAI Tsunao, in full noh costume, will don a mask onstage and dance an excerpt of Hagoromo, a play about an angel come to earth to teach the dances of heaven to humankind. 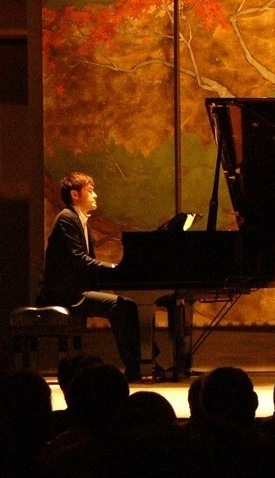 The concert will culminate with YAMAI Tsunao dancing KIZUNA, a new collaboration performed with renowned jazz pianist KIHARA Kentarô, in honour of the victims of the Great East Japan Earthquake and Tsunami, and offered as a prayer for future world peace. General admission. House opens at 7:00. Performance runs approximately 90 minutes without an intermission. Some free parking on the east side of the VAMS building. Pay parking available next to the Vancouver Museum. Yamai Tsunao's presence in Vancouver is made possible in part by the Agency for Cultural Affairs, Government of Japan.